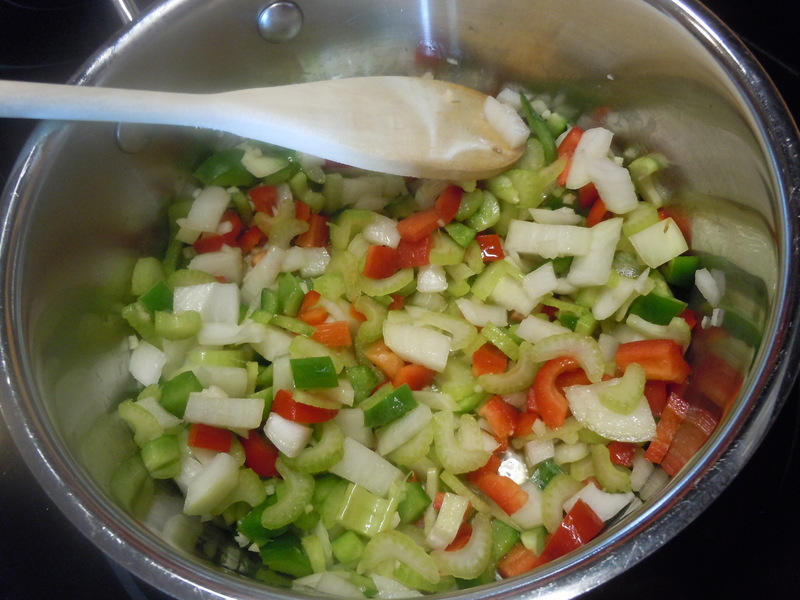 Saute the onion, garlic, celery, and peppers in the olive oil until softened and lightly browned. 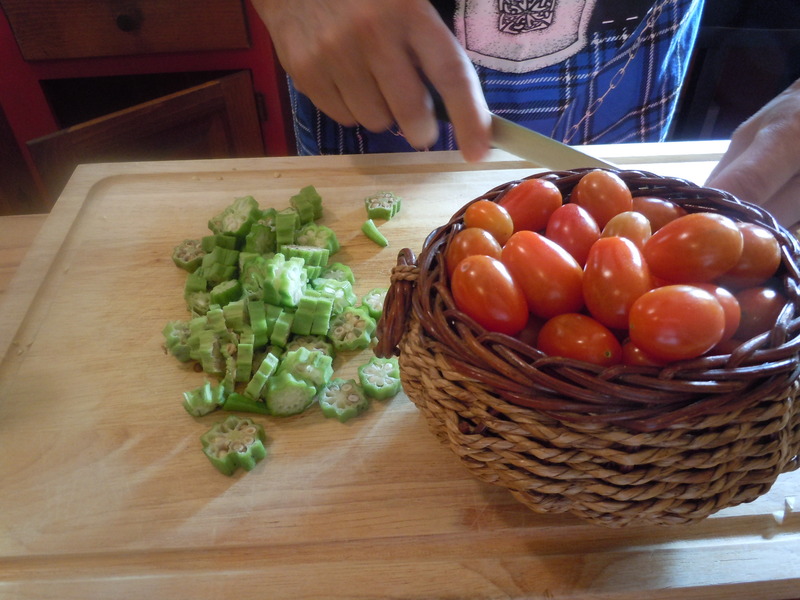 Add the okra and cook 1-2 minutes. Add the tomatoes, salt and peppers and bring to boil. Reduce the heat, add the wine and the basil. 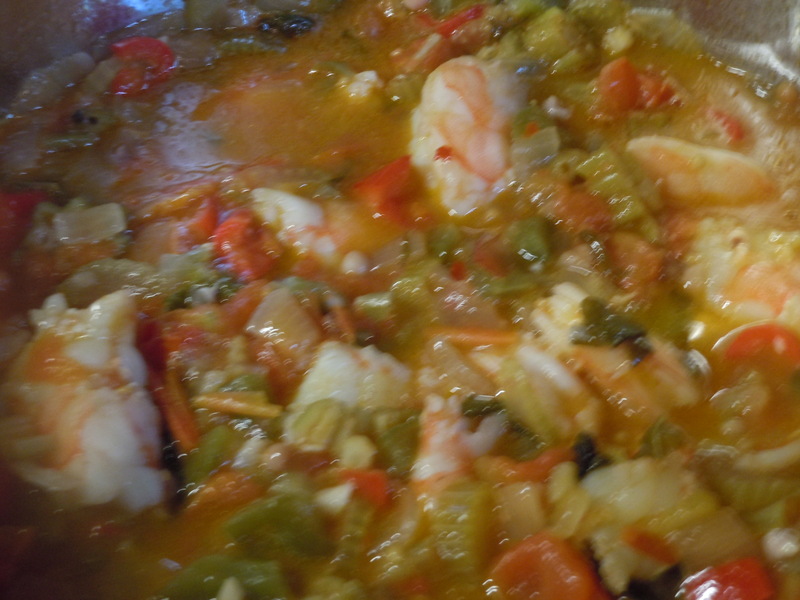 Cover and simmer 30 minutes. Correct the seasoning, adding hot sauce if desired. Bring to a medium boil. If the sauce is too thin, boil for several minutes to reduce. Add the shrimp and cook till pink and just cooked through. 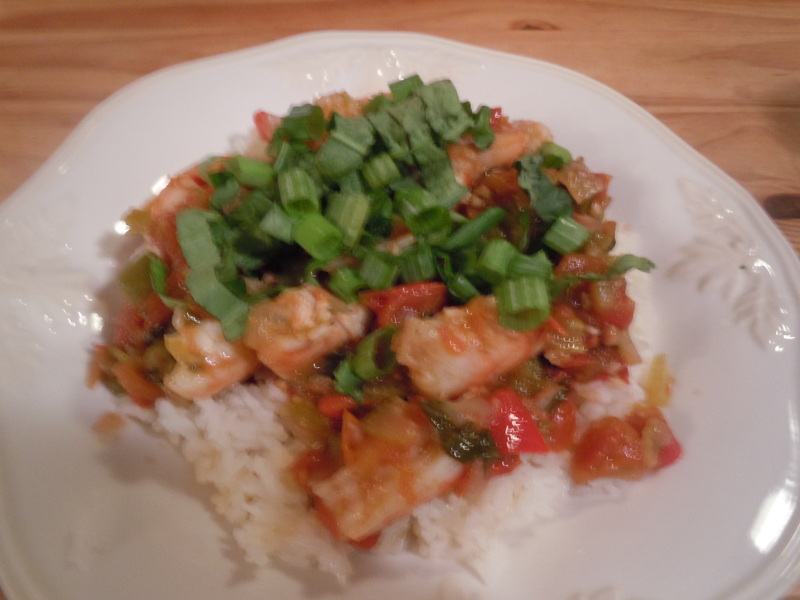 Stir in the file gumbo powder and serve over rice. Top with sliced green onion.